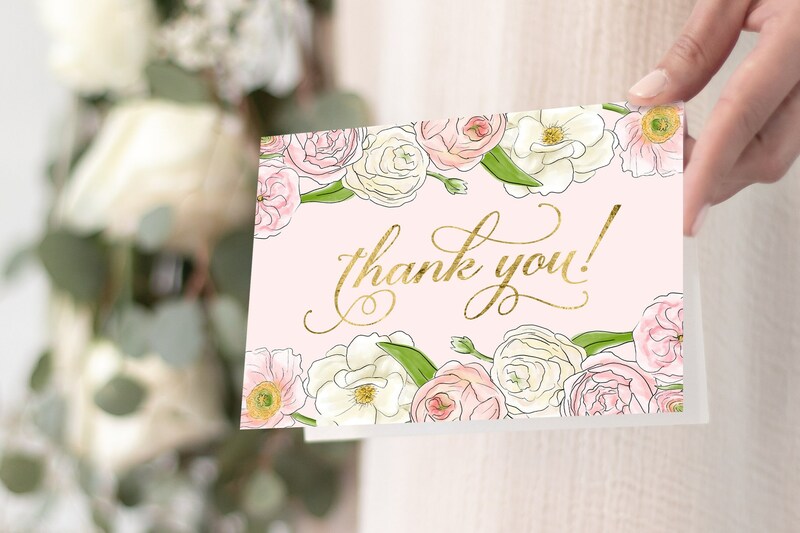 These gorgeous pink peony thank you notes are 5.5" x 8.5" (flat - folded to 5.5" x 4.25"). The inside is blank for you to write your message. Printed thank you notes include plain white A2 sized envelopes. • Printed items may take 7 to 10 business days to receive by mail. This item is sold as shown. No changes are included.